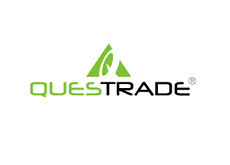 Questrade International is an affiliate company to Questrade Inc, the largest and fastest growing independent online brokerage in Canada. In October 2010, an international branch was officially opened in Armenia. From a humble beginning of a few employees, we have grown to a team of over forty in Armenia. We specialize in the design and engineering of innovative brokerage technology solutions that offer exceptional client experience. Questrade’s goal is ambitious: we want to transform online brokerage services through technology innovation and excellence. From memorable marketing campaigns to unique client brokerage offerings, from optimized business processing solutions to insightful business intelligence, it’s all in a day’s work at Questrade. For two years in a row, we have earned the distinction of being one of Canada’s Best Managed Companies. The key to our success is bringing together the best technology talents.